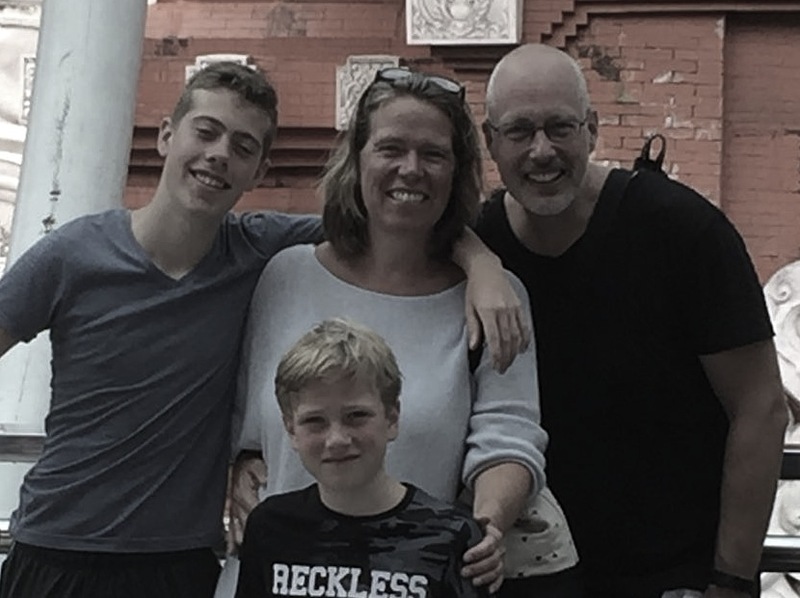 Hi, we are Astrid (48) and Rick (47), we have two sons, Joris (16) and Jesse (9). Rick is born and raised in Amsterdam and I have been living here for 30 years. Before we settled down we have travelled the world and stayed also at other people houses. It was our dream that one day a small piece of Amsterdam would be ours. Once back in Amsterdam we decided to chase our dream. 19 years ago we bought our town house and now finally we have modernist all floors. One floor especially for you, our guests. We like to think that by staying with locals you’ll see a different city. Of course we will help you to explore the city and if we have the time we will show you around. If the weather permits, and if our schedule allows it we can go for a boot trip or have a drink at our rooftop. We are looking forward to meet you and we will do our utmost to make you feel welcome in our house and that Rosies Place will be your home for the time you stay with us.